What is Fear of Public Speaking? Fear of public speaking is a very common problem. It adversely affects the lives of many successful professionals. Most sufferers feel too embarrassed to acknowledge it, even to find out how to get effective help. It’s no secret that both established and up-and-coming executives and professionals are expected to prepare and deliver effective public presentations. Yet, fear of public speaking affects 74% or more of the population and creates anxiety that can be immobilizing. Many wait until this fear is about to have a devastating effect on their career before finally getting help. Feelings of anxiety can surface up to a year or more before the scheduled event. For example, preparing now to make opening remarks at next year’s annual business meeting or to deliver a best man speech for a wedding 18 months away. The worst symptom of all: little to no recollection of the contents of the speech. 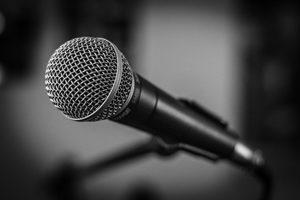 Why does Fear of Public Speaking occur? Why can these symptoms be so severe? Humans come equipped with instincts for self preservation. These instincts can be triggered by either real or imagined danger. These primitive “fight, flight, freeze, appease” instincts reside in a part of the brain beneath the high level thinking brain – the cortex, that wrinkly grey matter we all know about. Instantaneous, emotion-driven reactions rule the more primitive area of our brain, the area that lies beneath the cortex. As a result, logic, reason, and even language to define the threat are unavailable when fear strikes. In other words, the high-level thinking brain is shut down by instinctive fear reactions in order to survive. What makes the fear happen again and again? As that primitive part of the brain goes through life, it adds every experience that feels overwhelming to its list of life threatening dangers. Anything that FEELS like the original fearful event triggers the same level of intense fear. Loud noises and angry shouting can be overwhelming for a tiny baby and may create a terror of loud anger that persists throughout their life. Embarrassment over a bungled piano recital at age 8 can be demoralizing. Further, a lifetime of performance anxiety can result. Where did my speech go??? One of the worst symptoms of this fear reaction is your “thinking brain” (the cortex) turns off the area that stores your speech and your ability to deliver it. Breaking the links between past and present overwhelming experiences can conquer this kind of fear. Can you overcome fear of public speaking? Many people with anxiety for public speaking can overcome their fear with training and years of speaking in front of others. However, others find that no amount of training, coaching, or speaking experience reduces their anxiety level at all. I created this Fear of Public Speaking Coaching practice primarily for those with a crippling level of anxiety. Its purpose is to dramatically reduce or even completely eliminate this oppressive, confidence eroding, state of mind. We now have the tools and techniques to drastically reduce these fears. Hence, we have the capability to manage anxiety while presenting. Powerful and relatively new techniques can and have produced near to full recovery. We can have your session in-person (if you’re near Plymouth, MA) or via Skype (if you’re in the Boston area or beyond). 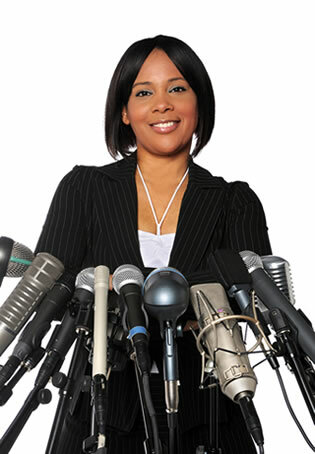 Contact me to schedule an appointment today and learn how you can overcome the fear of public speaking.